I will be exhibiting this year at the Kirstie Allsopp Handmade Fair which is at Hampton Court Palace for one the years most popular handcrafters events of the year. I’m excited to be able to show my products to so many people amongst some very talented creators. Kirstie Allsopp is known for her work in property but has helped showcase handcrafts with her programmes such as Kirstie’s Handmade Christmas and ‘How to fill your House for Free’, encouraging the population to get creative have some fun making things by hand. It was the success of these programmes that inspired The Handmade Fair. 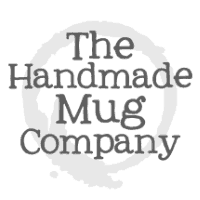 A place for handcrafters to exhibit their unique work; inspiration for others to get involved and great treat/ gift ideas. I will be at Hampton Court Palace from 14th- 16th September 2018.